Here in this bike pic we captured another biker chick having fun pedaling into the morning sun on a picture perfect day riding on RAGBRAI 2018. 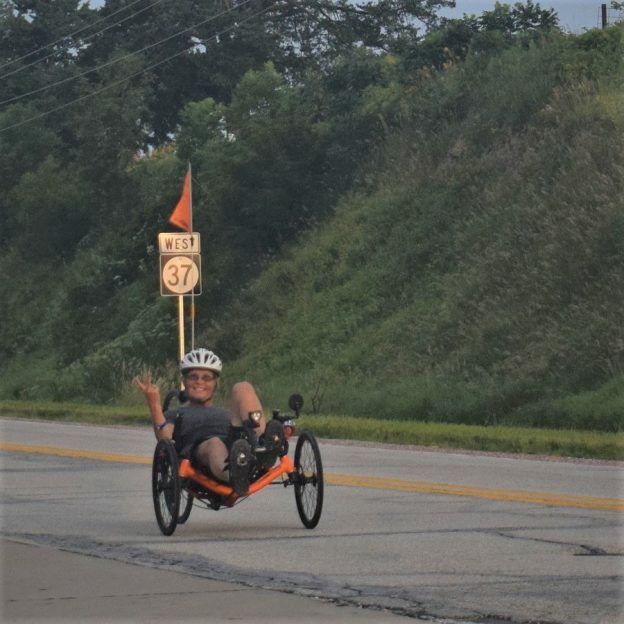 This entry was posted in Picture of the Day and tagged Bike Iowa, bike touring, bike tourism, biker chick, Jefferson IA, Onawa IA, picture persfect, Ragbrai 2018, Recumbent trike, riding into the sun, sun glasses on July 30, 2018 by Russ Lowthian. Here is another bicycle rider having fun, pedaling into the morning sun on a picture perfect day riding out of Newton, IA, on RAGBRAI 2018. 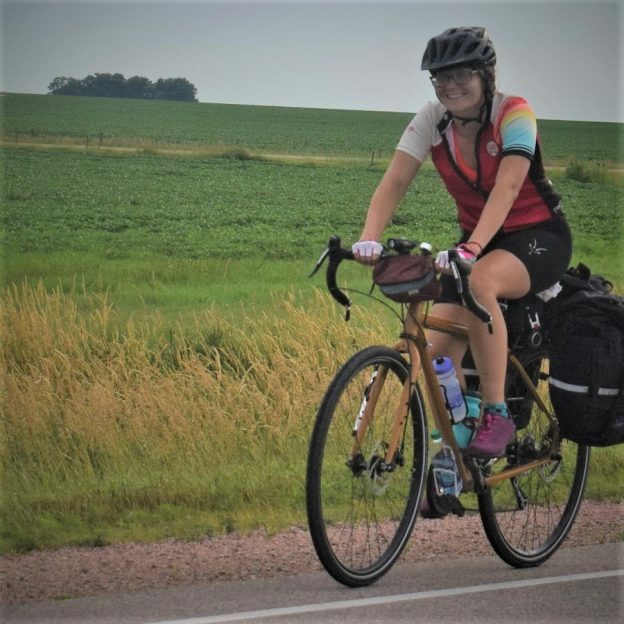 This entry was posted in Picture of the Day and tagged Across Iowa, Bike Iowa, bike touring, bike tourism, biker chick, Orange City IA, picture persfect, RAGBRAI, riding into the sun, road bike, Road bike Iowa on July 26, 2018 by Russ Lowthian. Here are some biker chicks having fun, pedaling into the morning sun on a picture perfect day riding out of Jefferson, IA, on RAGBRAI 2018. 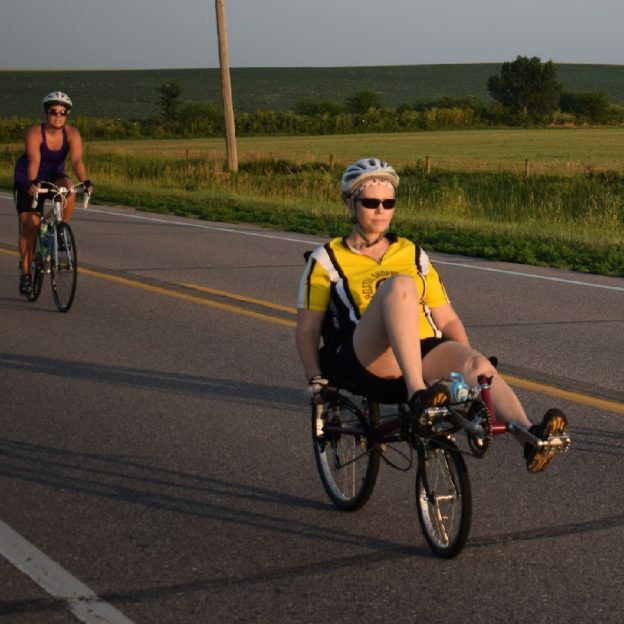 This entry was posted in Picture of the Day and tagged Bike Iowa, bike touring, bike tourism, Biker chicks, Jefferson IA, picture persfect, Recumbent bike, riding into the sun, sun glasses on July 24, 2018 by Russ Lowthian. 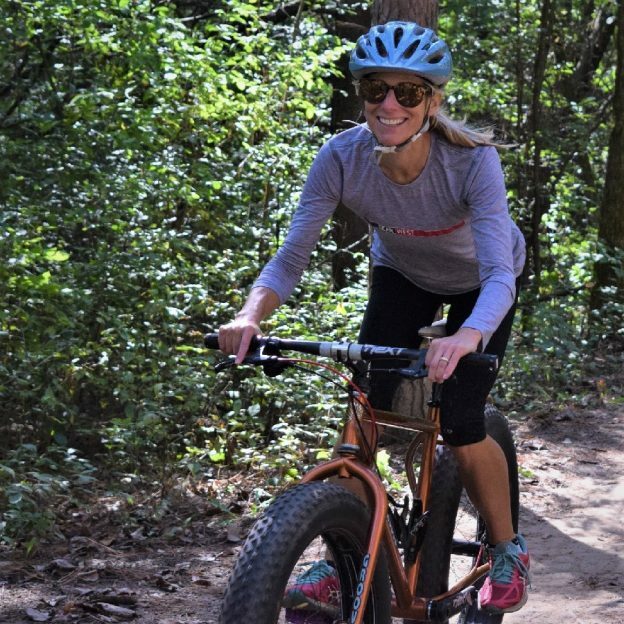 It’s Friday, stay cool and ride off on another weekend of fun, taking in that next bike adventure that maybe includes testing out a fat bike ride. What better way to continue your fall fun and your #NextBikeAdventure. View all the fun ideas and bike destinations in the latest Minnesota Bike/Hike Guide. Then plan your next outing with family and friends at one of the HaveFunBiking Destinations. This entry was posted in Picture of the Day and tagged #fatbiking, bike touring, bike tourism, biker chick, Friday fun, Minnesota trails, Mississippi River Trail, Mountain Biking, picture persfect, riding into the sun, sun glasses, yeah its Friday on June 29, 2018 by Russ Lowthian. 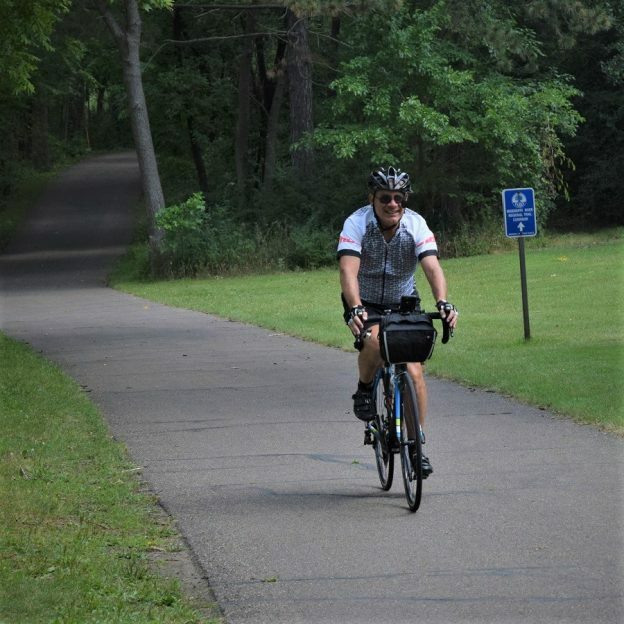 Here is a biker dude having fun, riding into the Monday morning sun this summer on the Mississippi River Trail Corridor that runs through the Twin Cities Gateway community of Fridley, MN. 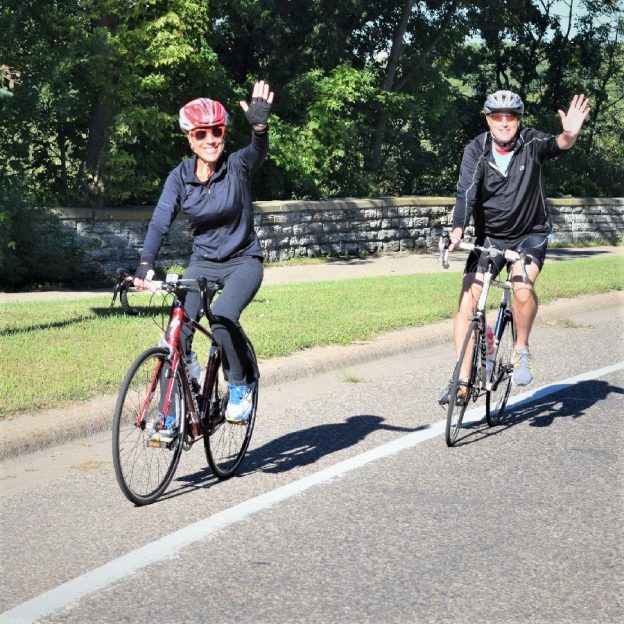 This entry was posted in News and tagged bike commute, bike minnesota, bike touring, bike tourism, biker dude, Fridley MN, fun bike picture, Minnesota trails, Mississippi River Trail Corridor, picture persfect, riding into the sun, road bike, Road Biking Minnesota, sun glasses, Twin Cities Gateway on December 4, 2017 by Russ Lowthian. 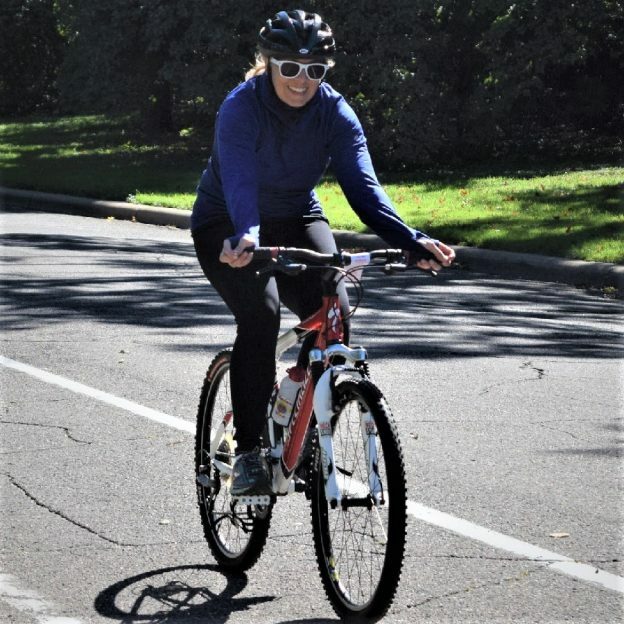 This entry was posted in News and tagged bike commute, bike touring, bike tourism, biker chick, Minnesota trails, picture persfect, riding into the sun, road bike, Road Biking Minnesota, St Paul MN, St Paul Smart Trips, sun glasses on November 20, 2017 by Russ Lowthian. It’s Friday and time to ride off on another weekend of fun taking in that next bike adventure that maybe includes testing out a fat bike ride. With the proper clothing here in the upper Midwest, it looks like another perfect weekend to get some pedaling in. 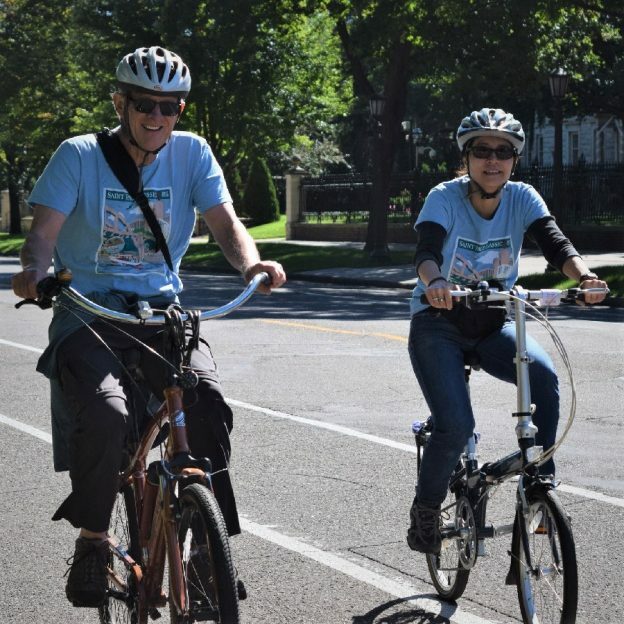 This entry was posted in News and tagged bike commute, bike touring, bike tourism, biker chick, Friday fun, Minnesota trails, Mississippi River Trail, picture persfect, riding into the sun, road bike, Road Biking Minnesota, St Paul MN, St Paul Smart Trips, sun glasses, yeah its Friday on November 17, 2017 by Russ Lowthian. Here are a biker chick is having fun as the fall weather warms, pedaling into the Monday morning sun on a picture perfect day riding along the streets in St. Paul, MN this last summer. This entry was posted in News and tagged bike commute, bike touring, bike tourism, biker chick, Minnesota trails, picture persfect, riding into the sun, road bike, Road Biking Minnesota, St Paul MN, St Paul Smart Trips, sun glasses on November 13, 2017 by Russ Lowthian. 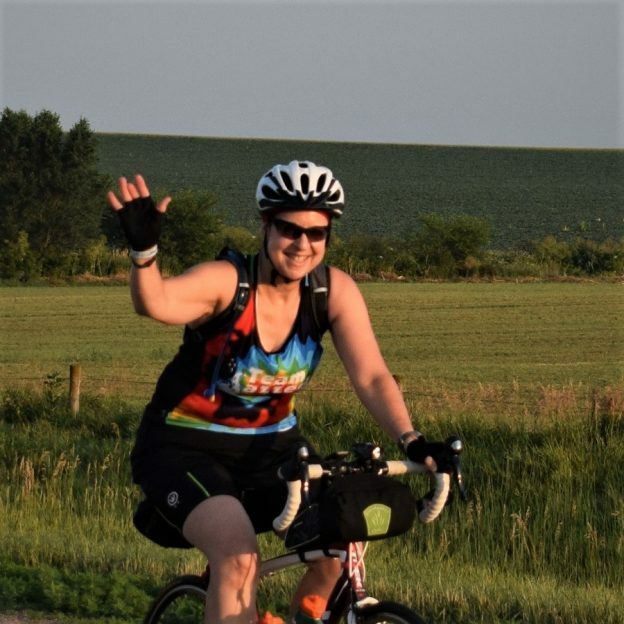 Reflecting back to the good times in the saddle, we caught this biker chick, this summer, enjoying her time riding across Iowa on RAGBRAI and all the other great ride opportunities that took place throughout 2017. This entry was posted in News and tagged Across Iowa, Bike Iowa, bike touring, bike tourism, biker chick, Orange City IA, picture persfect, riding into the sun, road bike, Road bike Iowa, travel Iowa on November 2, 2017 by Russ Lowthian.